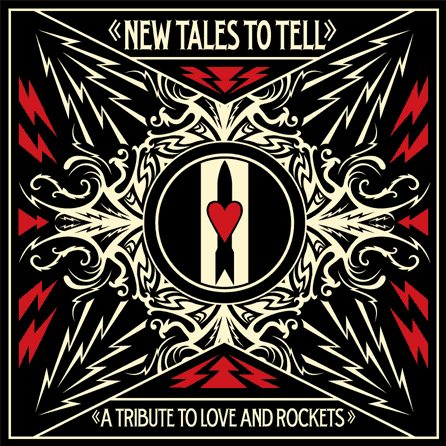 Have you heard anything from Justice Records‘ tribute to Love And Rockets entitled, New Tales To Tell? I recently heard this cover by the loudest band in Brooklyn (A Place To Bury Strangers) and it just sounded soo right. It kind of makes me wish APTBS would do a tour where they played the Love And Rockets album in its entirety (or something like that). As that probably won’t happen, you should probably listen to this track from APTBS’ new album, Exploding Head? A Place To Bury Strangers is on Twitter. A Place To Bury Strangers is on Facebook. A Place To Bury Strangers is on Myspace. 1 A E O N’s APTBS etsy shop is here. Ooh yes, have that Love & Rockets cover, got it off emusic last month. Fav track off new album was Keep Slipping Away, now it’s the title track. You? Actually, don’t have one yet, need to listen a bit more. Great record. Film School’s version of L&R’s “An American Dream” is also fantastic. A tribute to this band was long overdue.